Sharon Jones & The Dap-Kings's Give the People What They Want is again the #1 on the chart by a wide margin of 151 spins. Among the first five are Stephen Malkmus & the Jicks, Neil Young, Damien Jurado and Blood Orange. Sharon Jones & The Dap-Kings's Give the People What They Want tops the chart with 92 spins. It is followed by Billie Joe + Norah, Arcade Fire, Blood Orange and Tennis. 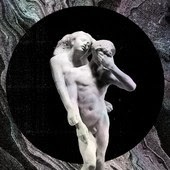 Arcade Fire's Reflektor is back on the top of the chart, followed by Billie Joe + Norah, Blood Orange, The Head And The Heart and Tennis.